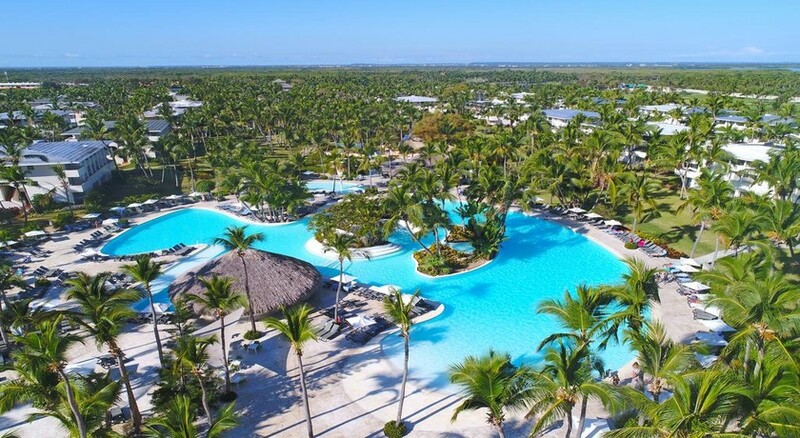 The Catalonia Bavaro Beach Golf & Casino Resort is located on the beaches of the Dominican Republic, in Punta Cana, which makes a dream vacation proposal marked with rest and pleasure. 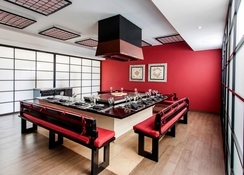 The hotel has eight restaurants that offer different styles of food – Asian, Italian, Caribbean, American, among others - and five bars spread across the property. The main pool in the resort is over 2,000 square meters and is for adults; children have a separate pool. The Alegria Spa at the resort will surely help in relaxing as it offers a wide array of massages and therapies. Two golf courses and numerous activities - day and night - also contribute to making leisure time a more enjoyable experience. 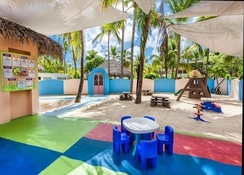 The rooms of Catalonia Bavaro Beach Golf & Casino Resort are arranged in villas surrounded by tropical trees and offer, among other features, air conditioning, king size beds, a terrace with hammocks and a living room. 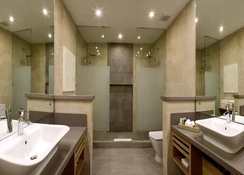 In some cases, guests may also have access to a Jacuzzi, two full bathrooms and a bathrobe and slippers. 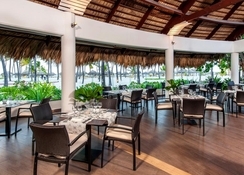 Catalonia Bavaro Beach Golf & Casino Resort is located in the paradisiacal Punta Cana, a prestigious and tourist town located east of the Dominican Republic. Along the 50km coastline that Punta Cana has, there are several beaches, such as Macao, Arena Gorda and Ubero Alto, but without a doubt, Bávaro beach is the most valued. And sitting pretty opposite this amazing beach is the Catalonia Bavaro Beach Golf & Casino Resort. While you are here, don’t forget to visit the Manati Park and explore the flora and fauna of the area. If you feel like going on a jungle safari, you can do so at the Del Este National Park. The Punta Cana International Airport is about 15km from the hotel. 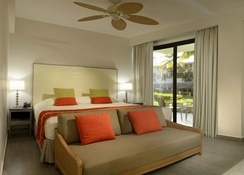 There are 711 guestrooms at the Catalonia Bavaro Beach Golf & Casino Resort, a complex that has arranged its luxury stays in villas surrounded by a Caribbean landscape composed of lush plants and bucolic lakes. The rooms come with air conditioning, Wi-Fi internet connection, living room and king size bed or two large beds and feature a full bathroom with a round bath and separate shower. They also have a terrace with a hammock, cable TV, minibar and ceiling fan. The pillow menu, two televisions and a Jacuzzi are other benefits that some of the rooms have. Finally, there is a room category to celebrate the honeymoon, which includes a welcome gift – cava and fruit with chocolate, a four-poster bed and a Jacuzzi in the room, among other luxuries. Guests can enjoy their meals in any of the eight restaurants at the resort, each specializing in one type of cuisine: pizza, Italian, American, Caribbean and Asian, buffet style or à la carte. Many of them offer live cooking show. There are also four bars, some of select atmosphere and others more informal; one of them is in the pool and the other one is on the beach. 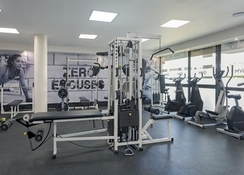 This resort offers activities for adults and children, day and night, so that your stay is fun at all times: merengue classes, native painting, bicycle rides, mini club, theatre and aerobics, are just some of the proposals. In the complex there are also various shops and a supermarket. Spa Alegría is an option to indulge in the pleasure of the senses: beauty centre, body treatments and massages and special spaces for couples are some of what is offered here. Within the complex there are also 2,000 meters of swimming pool with jets, islets and Jacuzzi area. The disco and the casino are the two spaces that complete the offer of this impressive luxury resort.